NOTE:Please keep in mind that these are guidelines and are no guarantee that your hat will arrive in perfect or undamaged condition. Because our retail stores are in very touristy locations, a common question customers ask us is how to pack their hats so they don’t have to carry the item on the plane with them. 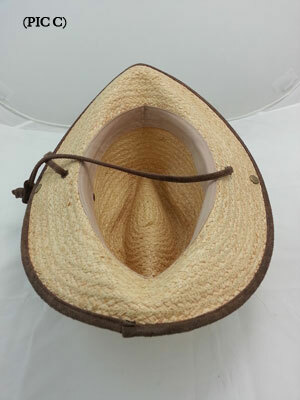 Packing compatibility depends mainly on the material of the hat in question, but the form of the style, stiffeners, and embellishments play a part in the matter as well. One of the best hat materials that pack well is raffia. Raffia is a very durable straw that comes from a Raffia palm, which can be found in Africa, Madagascar, Central & South America. Raffia hats tend to pack well because the fibers have very good memory once they’ve been formed into the hat style. Typically even if the hat in question has been crushed and pressed in a suitcase for a long trip, working around the edges with your fingers or applying a little steam with this process will make the hat look brand new. Many other materials can pack well however. This is not a comprehensive list, but does comprise many of the materials we have found to retain shape easier. 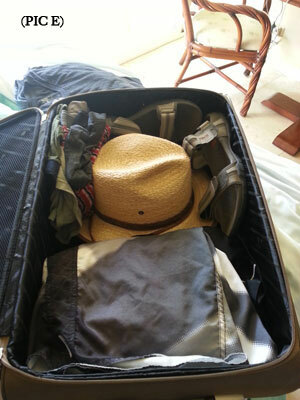 Usually the softer the hat, the easier it is to pack and ensure you won’t damage it. Cotton hats like the Scala-Canvas Upbrim and bucket or booney hats Kooringal-Walkabout Booney are typically styles you can pack and not have to worry about. 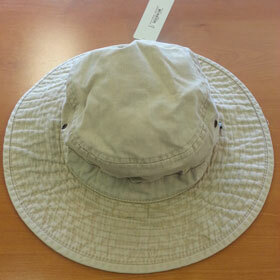 If done correctly, you should have very few wrinkles in your hat, but you can always steam these out as well! As a general rule I refrain from packing or advising anyone to pack hats with more rigid form. 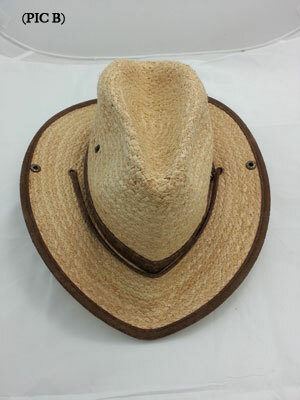 Harder or more brittle straw hats WILL crack if not protected correctly and no amount of steaming or shaping will help them. This includes Panama Hats! The same goes for very hard formed felt hats. Some felts feel as though they have cardboard in the brim or crown and can be extremely difficult to get wrinkles out of. So as a general rule, if it is a rigid or hard-soft straw or felt, avoid packing without a proper hatbox or do so at your own discretion. Additionally, big brim track hats or other expensive fancy hats should either be shipped ahead of time or have a proper hatbox. Now that we've covered the basic guidelines and materials best used for packing your hat, we will cover the methods. 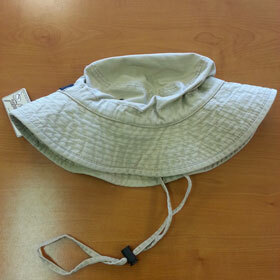 I recently went on a trip to Oahu and Kaua'i and brought along my Kooringal-Havana Drover for sun protection. Because it's a larger brimmed hat I thought I'd document two common methods we advise for packing your favorite sun protection hat. Please note that different methods work better with different types of shapes and materials. The first way I packed my raffia hat was in half with the brim up as illustrated in (picture A). In this way it was folded in the classic taco shape. I found that In folding it this way it came out pretty well when I arrived at our first hotel in Oahu. There were two creases where it had been folded (pictures B & C) and I had to work the shape back into it with my fingers for a few minutes, but pretty soon my hat looked good as new. 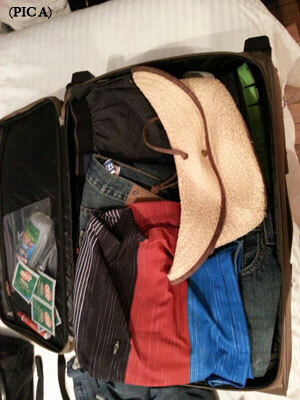 When we packed up and went to Kauai, I tried to pack my hat in the other way we commonly recommend: by stuffing the crown with socks, underwear, or rolled up shirts (clean hopefully!) and placing it either brim down, or crown down, then packing around it (Picture D & E). When making the decision to pack your hat brim down or crown down, the original shape of the hat should be taken into careful consideration. My hat is what is called a "Safari Style" meaning it has a parabolic shape that in order to retain well should be placed crown down as shown in the initial picture. 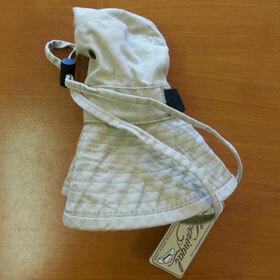 Want to see how to steam a hat in this condition back to normal? Check out our "How to steam your hat" page & video! These styles of hat are often very easy to pack because of their soft material and naturally distressed look. Wrinkles usually arent a big problem and when you unpack them they often look exactly as they did before you packed it. This method can be applied to women's hats of the same shape and material. Here we have the Booney hat in it's unpacked, natural state. We start by folding the hat in half and tryhing to make as neat a crease as possible and smooth out the wrinkles like you would when folding a shirt. Once you have a neat crease, you begin from one side and start to roll horizontally from edge to edge. 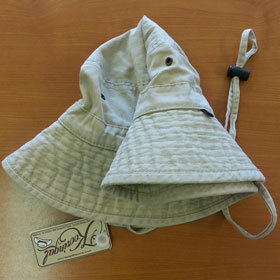 When finished you have a compact rolled up bucket or booney hat that you can easily stick in a pocket or bag for later. You can even use the chinstrap, if available, to keep it rolled.